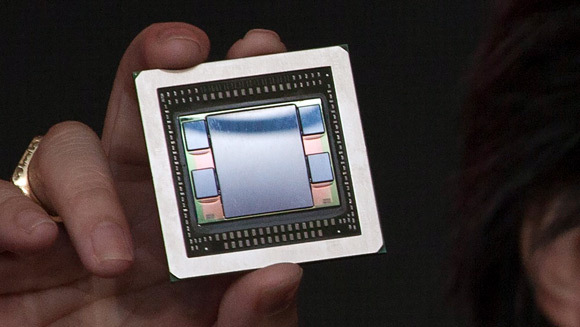 There is already a lot of speculation about the new AMD GPUs that are supposed to be announced in the next week or so and among all of the unofficial information there is probably a lot that will end up being the truth. So far it seems that apart from the new high-end Fiji GPUs that will use High Bandwidth Memory (HBM) all others will be a refresh of the currently available generation with maybe a bit more shaders or a bit wider memory bus, so you should probably not expect too much out of the net 300 series. The big question is about what level of performance the new AMD Fury video cards based on the Fiji GPU with HBM will be offering. AMD has been hinting that they are targeting a level of performance comparable to that of Nvidia Titan X, but it is not only abut performance, but also about power usage when talking about crypto currency mining and then there is also the cost of the video card. So if the Fiju GPUs that are to be used in the AMD Fury video cards are able to achieve similar performance with a bit higher power usage, but at a significantly better price they may end up be quite interesting. Especially if they do come with a water cooling solution already installed on them, ensuring cool and silent operation – perfect for GPU mining.